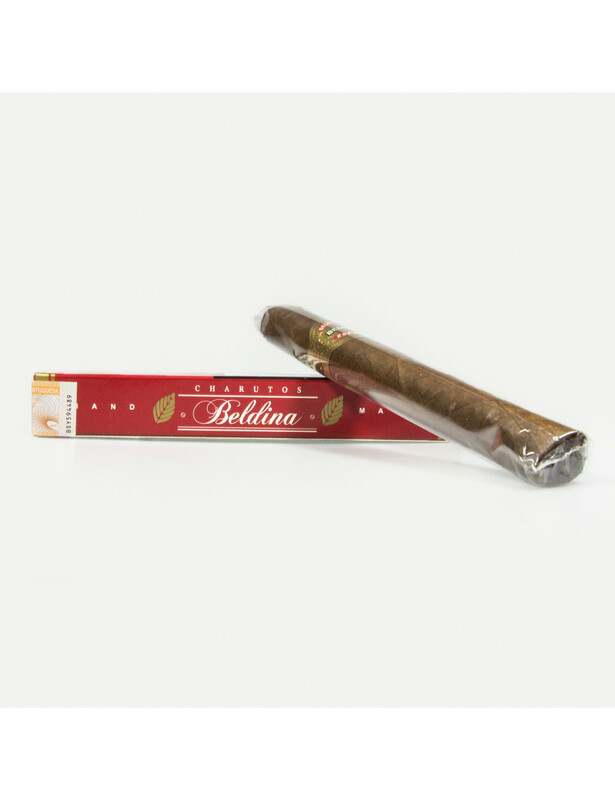 "Beldina" Cigars, handmade in the island of São Miguel. The cigars and cigarillos from the "Estrela" factory, founded in 1882, are known to be hand-rolled, a rarity in the world and especially in Europe, where only the Canaries produces this type of hand-rolled cigar. Moreover there is also the blend of tobacco leaves from various places, a mix which gives them a unique flavor to the connoisseurs´ preference. The tobacco leaves, preserved at a proper moisture, come from Cuba, Brazil, Dominican Republic, Santo Domingo, and Indonesia, particularly the islands of Java and Sumatra. Box of 1 or 20 Cigars. Note: According to Article 111 of the Excise Code on Consumption (CIEC), we are not allowed to sell tobacco products from the Azores to the Portuguese mainland nor to the Autonomous Region of Madeira.